These are the words of Chino Amobi, founder of NON Records, a “collective of African artists and of the diaspora, using sound as their primary media” that counts artists such as Nkisi, Angel-Ho and Amobi as part of the family. 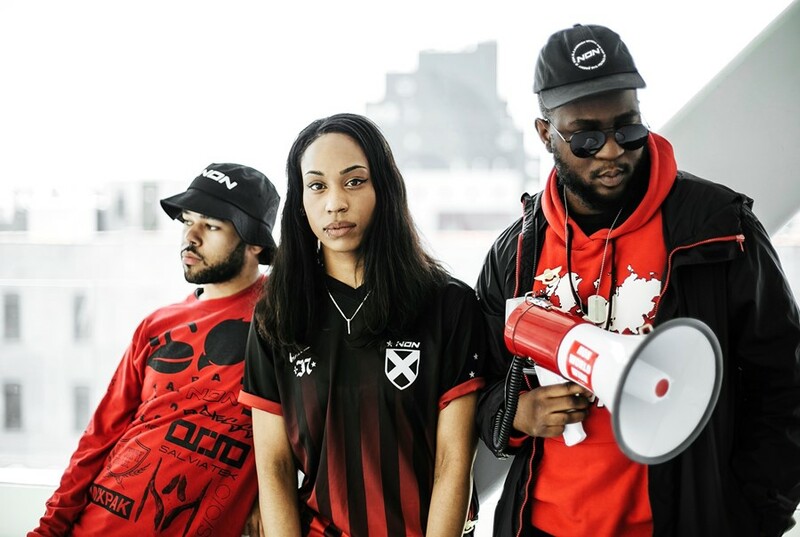 NON Records began as a method for people of colour to put out music in solidarity with each other away from the whitewashed corporate realm, but with a full focus on disrupting a sanitised music scene, a mission evident with their torn-up, brutal reworks of mainstream heavyweights such as Beyoncé and Alicia Keys. “Ring The Ambience” is all thunderous cascades of drone and broken rhythms, while Knowles’ angry vocal circles menacingly below. We head to the roof terrace of the hotel overlooking Manhattan, where Amobi comes to meet Nkisi and Angel-Ho. The three of them bounce off each other relentlessly: “I feel like when we meet I’m always just like, ‘Yeeeeah!’” says Nkisi. “I’ve always felt more strength in more community-based things.” In a turbulent political landscape, these concepts of community feel more valuable than ever, a vital reaction to the rise of the far right in Europe, Trump’s ascent and the madness of denying trans people access to bathrooms. 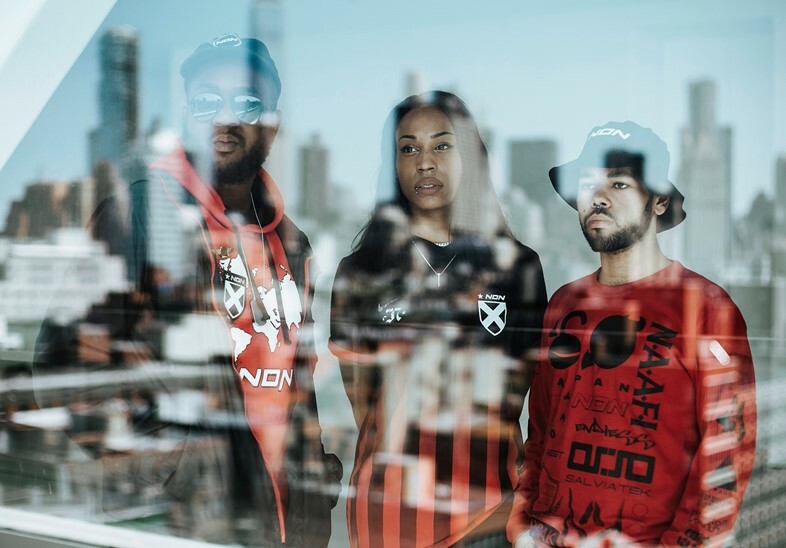 While the trio can talk effusively and endlessly about what NON means, or what its objectives are, one simple truth about their work is that their sets and club nights bang, something evident when we head down to see them play at the NON Records RBMA show. But what about the Red Bull collaboration, given that NON describes its MO as being “to run counter to current western hyper-capitalist modes of representation and function”? “Disruption and purification of spaces,” says Amobi. “Hashtag we exist,” says Angel-Ho. The NON Records and NAAFI showcases we head to that night are undoubtedly the highlight of my trip to New York, not only because of the seemingly endless conveyor belt of skilled DJs rolling out bangers (Elysia Crampton, Total Freedom and Nkisi at the New Museum earlier that day are notable highs), but because there is that palpable sense of community, of belonging, of freedom, that we’ve been talking about. The personal is the political and the chaos is community-created, but make no mistake – this is a party.